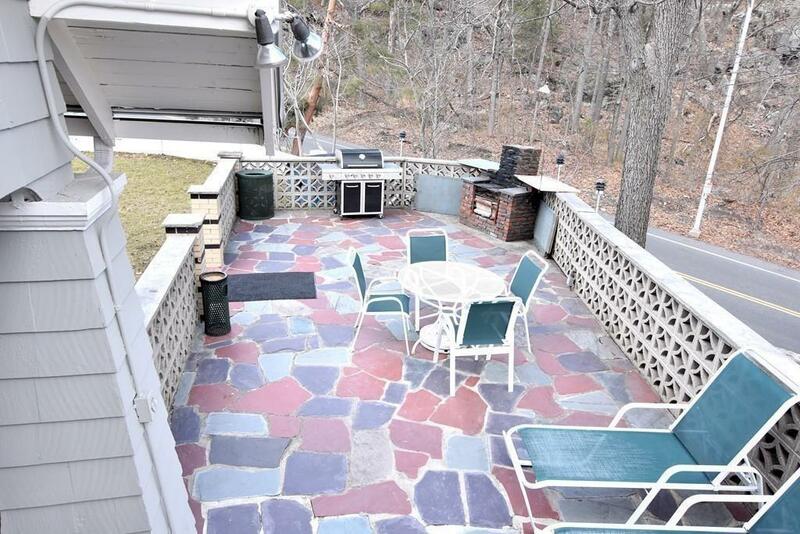 Located next to serene & magnificent Middlesex Fells Reservation in West End of Malden, this deleaded fully-furnished Top of the Hill White Castle provides unobstructed views in all four directions. Fells 2,575 acres offer welcome retreat for city dwellers and suitable terrain for hikers, bikers, skiers and picnickers. Here sits this house like a Great Sphinx. Surrounding thick concrete walls provide protection. Enclosed large grassy yard with blue stone walkway appeases eyes. Patio areas on all sides of house bring joy to a romantic tea time. Ample open space in the house provides enough for two dozen or more children to run around and play hide and seek. Through windows runs a sweet breeze bringing in positive chi energy conducive to writing poems, composing music or simply thinking new. Beautiful mix of modern and traditional kitchen, freshly painted walls and recently done hardwood are welcoming. Finished walkout basement. Central heat and air! Listing courtesy of Devendra Goyal of Davekey Real Estate, Llc. Listing provided courtesy of Devendra Goyal of Davekey Real Estate, Llc.